Two of the best sides in the Nigeria Professional Football League (NPFL) this past decade, Enyimba and Kano Pillars weigh in on each other on Sunday in a Match Day 32 encounter which promises not just a clash of former heavy weights but also the reunion of old team mates that have switched sides. The two sides with symbolic aliases that aptly depict what they stand for have had a stranglehold on the domestic league in Nigeria since the turn of the millennium, leaving occasional spaces for other teams to have a taste of the league diadem. Matches between both sides have also, always had a bearing on the eventual destination of the league trophy but despite Sunday’s game lacking such agenda, there would still be more to be contested for in the game than just a mere fight for the three points. When the People’s Elephant – as Enyimba are called – file out at the chunky UJ Esuene Stadium, they will be hoping to continue their impregnable home record against Pillars who are yet to secure any away victory against Enyimba in the past twelve years, be it at the frenzied Enyimba Stadium in Aba, the quiet Yakubu Gowon Stadium in Port Harcourt or perhaps anywhere Enyimba call “home ground” per time. With seven games left to play including Sunday’s clash, both teams are certainly not where they set-out to be on the log at the start of the season. While Enyimba can view the summit of the table from a very vintage 4th position, they still sit 3 points below the last continental spot and eight behind league leaders, Plateau United. It is not any better for Sai Masu Gida – as Pillars are gallantly called – as they occupy the 10th spot on the log, three points behind Sunday’s opponents Enyimba. The series of chop and changes in both playing and managerial personnel of Kano Pillars seem to underline the team’s struggles this season as they look set for another underwhelming position at the end of the season. 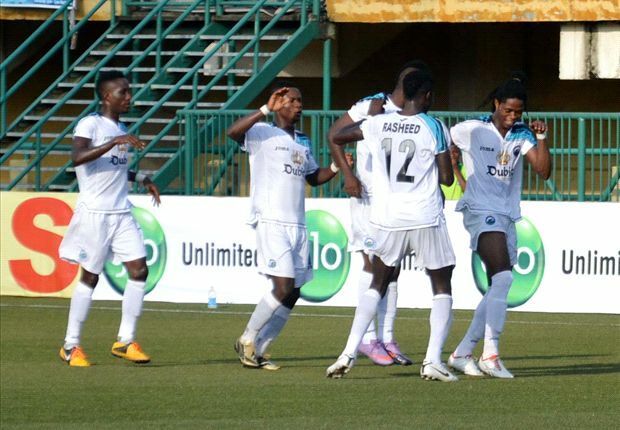 In this fixture last term, Enyimba produced an efficient display to edge out Pillars 2-1 in Port Harcourt to complete a rare double over the former Champions. Enyimba had won the reverse fixture by same score line in Kano earlier in the season. Although Pillars have exacted some sort of revenge this season in Kano with a 3-1 victory, the Ibrahim Musa led team will be hoping to complete a memorable double over the former African champions. Enyimba are unbeaten in their last 69 home games in the league and have somewhat adapted fully to their difficult home ground in Calabar having won their last eight home games, scoring 16 goals while conceding just 3 in the process. Nine of those goals have come in their last three home games as Enyimba look to step up an unlikely title chase on the home stretch. Such is the huge task confronting Pillars who have failed to win any of their last 27 away games in the league and interestingly, the responsibility of stopping Enyimba will lie majorly on the shoulders of an Enyimba legend, Chinedu Udoji who joined Pillars at the start of this season after years of meritorious service to the People’s Elephant. Udoji holds the record as the only player to have been red carded for both teams in games involving the two sides (having been sent off for Enyimba in Kano on April 2015 and for Pillars in this season’s reverse fixture). He however is not the only former Enyimba star that would be in Pillars’ jersey on Sunday as the trio of Idris Aloma, Kamal Sikiru and Bala Zakka have very recently defended Enyimba’s blue and white colours. While a former Enyimba captain will be hoping to keep the Elephants at bay, former Kano Pillars captain and also a club legend, Theophilus Afelokhai (if selected) will be hoping to get one over his former employers. with Pillars, achieving a cult hero status before leaving to join arch-rivals Enyimba before the 2015/16 season. An Enyimba vs Kano Pillars game is always one to provide the thrills, passion and goals as none of the last eight fixtures involving both sides ended goalless. Another tantalizing “Derby du Nigerie” waits on Sunday.